Hasan Ali Toptas exquisitely weaves an enigmatic, mystical tale of memory and identity, displacement and belonging `I'm a barber,' he said. `I come from afar. Across lands already forgotten...' In an Anatolian village forgotten both by God and the government, the muhtar has been elected leader for the sixteenth successive year. When he staggers to bed that night, drunk on raki and his own well-deserved success, the village is prosperous. But when he is woken by his wife the next evening he discovers that Nuri, the barber, has disappeared without a trace in the dead of night, and the community begins to fracture. In a nameless town far, far away, Nuri walks into a barbershop as if from a dream, not knowing how he has arrived. Try as he might, he cannot grasp the strands of his memory. 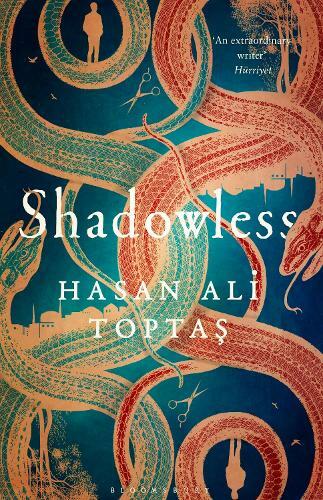 The facts of his past life shift and evade him, and as other customers come and go, they too struggle to recall how they got there... Blurring the lines of reality to terrific effect, Shadowless is both a compelling mystery and an enduring evocation of displacement from one of the finest, most exciting voices in Turkish literature today.